It’s also our show, which is as cool, as fun, as captivating as the City it’s named for. With great comics from across the nation who’ve made New York their home, the Manhattan Comedy Show is stand-up for grown-ups, and a fun night out! It’s a show filled with laughter and good times that is simply unforgettable! 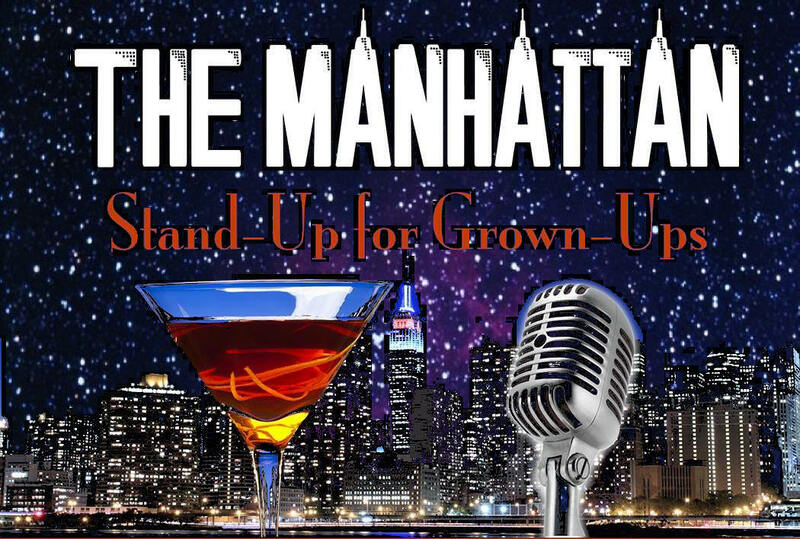 So, whether you're a New Yorker or just visiting, the Manhattan is a night of comedy just for you. As the White, Jewish husband of a Black woman (who converted to Judaism) and the father of a 3-year old, Biracial son, Alex focuses on the challenges of being a parent in a bad economy and the issues that confront interracial families. Alex, who hosts the "Multiracial Family Man Podcast" has been featured on the Katie Couric Show, Sirius/XM Radio’s “Raw Dog Comedy,” and in The Wall Street Journal, The Huffington Post, and CNN.com. Adam moved to Manhattan in the early ‘80s. He has spent decades studying philosophy & martial arts, and has undergone extensive psychotherapy. Twice. But no amount of discipline (intellectual, spiritual, or physical) could prepare him for the slow chipping away of self-esteem that comes with being a New Yorker, a husband, and a father…especially the father of teenage girls. In his Stand-Up Adam mines the absurdities, ironies, and silliness that arise in the most humbling everyday situations (with which he is continues to gain vast experience). He won the 2013 Paramount Theatre Stand-Up Star Search. He has recently opened for Robert Klein, Colin Quinn, and Gilbert Gottfried. With Jon Cryer he wrote and starred in the film, “The Pompatus of Love.” And he’s been nominated for Tony, Drama Desk, and Clio awards.